The current status and future of the UFC lightweight division is very much up in the air following this past weekend's blockbuster UFC 229 event. 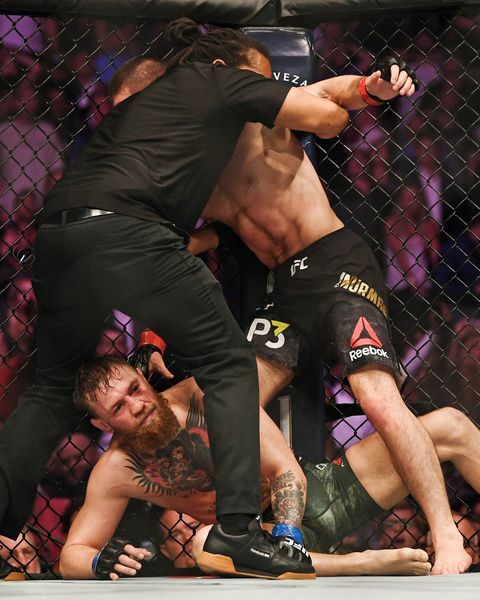 In the main event, Khabib Nurmagomedov defended the UFC lightweight title with a fourth-round submission win over Conor McGregor. But immediately after the fight was over, Nurmagomedov jumped over the Octagon wall and attacked members of McGregor's camp, leading to a melee between the camps of both fighters that can only be described as embarrassing. UFC 229 was supposed to help determine the path of the lightweight title, but it's only more up in the air now. Ideally, the UFC would have matched up the winner of the main event with the winner of the co-main event, which turned out to be Tony Ferguson after he defeated Anthony Pettis via second-round corner stoppage. It was arguably the most impressive win of Ferguson's career, and as soon as the fight was over, fans and media members were calling for him to get the next title shot. Because of what happened between Nurmagomedov and McGregor, though, it's not a certainty, as we still have to figure out what the repercussions of the post-event melee will be. A lot depends on what happens with the Nevada State Athletic Commission. It's possible Nurmagomedov could be suspended for a considerable period of time, which could force the UFC to strip him of the title. Or it's possible he could get a slap on the wrist, and the UFC could go ahead and book a rematch between Nurmagomedov and McGregor. "Notorious" has absolutely no right to the next title shot based on merit, but it's possible the UFC just looks at how big a rematch would be because of the storyline, and decides to book that instead of giving Ferguson and his 11 wins the shot. It's not right, but we know how the UFC operates. 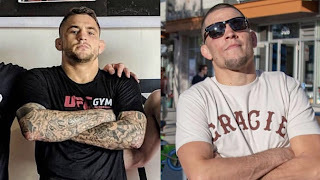 And then you have to consider the co-main event of next month's UFC 230 card, the fight between Dustin Poirier and Nate Diaz. The winner of that fight isn't far back from a title shot either, and depending on what happens in that fight, he could emerge with an opportunity to capture the belt. There's no doubt that Poirier is deserving, but he's not as deserving as Ferguson, and he's not a proven PPV draw. Diaz, though, is a huge name in the sport, and if he can beat Poirier, the UFC could go ahead and give him the fight against Nurmagomedov, or if he's stripped, a trilogy fight against McGregor for the vacant belt. It's crazy to think Diaz could potentially be fighting for a belt considering he hasn't won a fight since 2016 and Poirier and Ferguson have long win streaks, but the UFC is a business after all. Like it normally does, the promotion will go with the biggest money fight for the title over the fight between the two most deserving combatants. Right now, the next fight based on merit should be Nurmagomedov vs. Ferguson, and McGregor shouldn't even be in the picture. But if McGregor wants the rematch with Nurmagomedov, and he isn't stripped or suspended for a considerable amount of time, the UFC might opt to do that, as the rematch is guaranteed to be another blockbuster. But you can't forget about Diaz, the wild card in all of this. 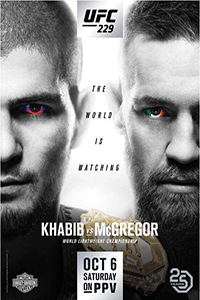 We were supposed to have the answers about the path of the lightweight title following UFC 229, but instead we are left with questions, and we won't have any clue about what happens to the title next until the commission makes a ruling on the ramifications of the melee. Until then, we can only speculate what happens next.